A selection of inspirational women who have made a significant contribution to the world and society. Florence Nightingale. During the Crimean war worked as a nurse. Her time there and later statistical analysis of different treatments and hospital practises, helped to revolutionise the service of nursing. Mother Teresa Nobel Prize winner for peace. Devoted life to serving poor and destitute in East and West, but especially in her adopted India. St Teresa Avila. Spanish Mystic. St Teresa of Avila was a noted writer and mystic. She overcame many obstacles of a period coinciding with the Spanish inquisition. In a period when women were rarely heard in public, she helped found many new religious establishments. Joan of Arc As a young girl, Joan of Arc helped change the fate of her country. She was an unlikely hero, coming from a poor peasant family, she managed to inspire the Dauphin of France and helped lead the French armies to victory over the English. Later she was burnt at the stake in a politically charged trail of ‘witchcraft’. This was later overturned and she became an inspiring symbol to all sections of French society. Boudicca Boudicca was an inspirational leader of the Britons. She led several tribes in revolt against the Roman occupation. Initially successful, her army of 100,000 sacked Colchester and then London. Her army was later defeated. Mary Wollstonecraft English author, Wollstonecraft wrote the most significant book in the early feminist movement. 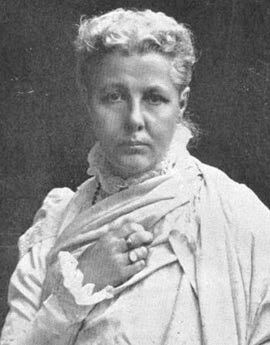 Her pamphlet “A Vindication of the Rights of Women” laid down a moral and practical basis for extending human and political rights to women. She was a pioneer in the struggle for female suffrage. 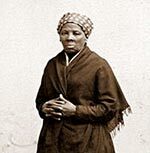 Harriet Tubman A former slave who escaped and then returned to lead other slaves to freedom on the Underground Railroad. She served in the Civil War as spy and guide. She became a well-known speaker on the experiences of slavery and showed great courage in leading others to safety from slavery. 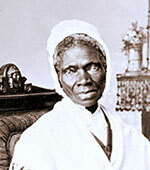 Sojourner Truth African-American abolitionist and women’s rights campaigner. She broke down barriers in a national speaking tour on civil rights. She suprised many with her passionate and articulate talks on the need to treat all equally. Harriet Beecher Stowe A lifelong anti-slavery campaigner. Her novel Uncle Tom’s Cabin was a bestseller and helped to popularise the anti-slavery campaign. In the years leading up to the civil war, Stowe was at the forefront of the movement to describe the evils of slavery as evil – even though this was highly controversial with many in the south. Marie Curie Polish/French scientist. Curie was the first woman to receive the Nobel Prize and the first person to win the Nobel Prize for two separate categories. She was a path finder for both female scientists and also science in general. She made important discovery in the field of radiation. Princess Diana One of the most famous and most photographed women of all time. Princess Diana also had a genuine sympathy for those facing difficult circumstances. She became involved in many charities and humanitarian campaigns, such as the campaign to ban land mines. Anne Frank. Anne Frank wrote a moving account of her life hiding from the Nazi occupation. Tragically caught and sent on last train to Auschwitz, her diary inspired many people with its honesty and sincerity; she helped put a human story on the Holocaust statistics. Helen Keller American social activist. At the age of 19 months, Helen became deaf and blind. Overcoming the frustration of losing both sight and hearing she campaigned tirelessly on behalf of deaf and blind people. Eleanor Roosevelt Eleanor made a significant contribution to the field of human rights, a topic she campaigned upon throughout her life. She was made part of the UN human rights commission which helped to draft the 1948 UN declaration of human rights. Wife of American president F.D.Roosevelt. Oprah Winfrey. American chat show host who frequently discusses a range of topics on self-improvement. Helped provide a role model for black American women and also transcended race to become an icon for the whole of American society. Billie Jean King. One of the world’s greatest female tennis players. Also played a key role in helping gain greater equality for women. 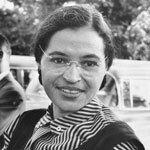 Rosa Parks American civil rights activist. Parks led a dignified protest against segregation on the Montgomery bus transport system. It was symbolic of the nation’s civil rights struggle which ultimately succeeded in ending legalised apartheid. Emily Dickinson Famous American poet, who wrote unique and spontaneous poetry. This influenced later modernist poets, but stands on its own for its poetic power and interest. Citation: Pettinger, Tejvan. 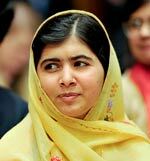 “Inspirational Women”, Oxford, UK – www.biographyonline.net. Published 1 May 2010. Last updated 15 February 2018.